Sinai Akiba Academy can now proudly boast a healthy endowment of $20 million, which was reached as a result of a generous $5 million gift from Anna and Bill Tenenblatt. This gift is part of the School’s ongoing effort to attain a $50 million endowment, a permanent investment fund that uses its interest to support school operations. 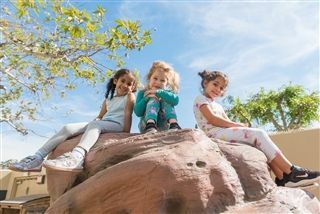 Reaching the $50 million mark would allow Sinai Akiba to fully fund the tuition assistance program, making the School more accessible to families throughout Los Angeles. 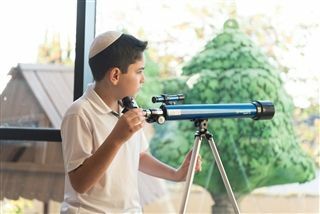 Announced in February, the Tenenblatt’s gift is a significant investment in the future of Jewish education in Los Angeles, and their goal is to help future families afford the exceptional education that Sinai Akiba provides. “We have always believed in the mission of both the Temple and the School, and are proud to be a part of building the future for students who attend Sinai Akiba,” shared Anna Tenenblatt, a dedicated Temple Board member who has served as the School’s Board Chair, the Temple’s Vice President of Education, and currently serves as the Vice President of Programming & Social Action. Over the years, Anna and Bill have created measurable change throughout our community and have been important contributors in almost every initiative across our School and Temple. In addition to giving generously to the Temple and providing two full scholarships each year for Sinai Akiba students, Anna and Bill made a lead gift to the recent Sinai Akiba Generations Campaign and generously supported the fund for children of alumni, which was unveiled at the School’s 50th Anniversary Gala in 2018. “Anna and Bill Tenenblatt are exemplars of the Jewish tradition in their generosity, their passion and their unstinting commitment to transmitting our sacred values. We are blessed to have them in our community,” said Rabbi Wolpe, Max Webb Senior Rabbi of Sinai Temple. Together, the Tenenblatts are already working hard to encourage others to join them in this campaign to support the school’s endowment. “It is our sincere hope that this lead gift will inspire others to help in securing the future of both our School and our Temple,” they shared.